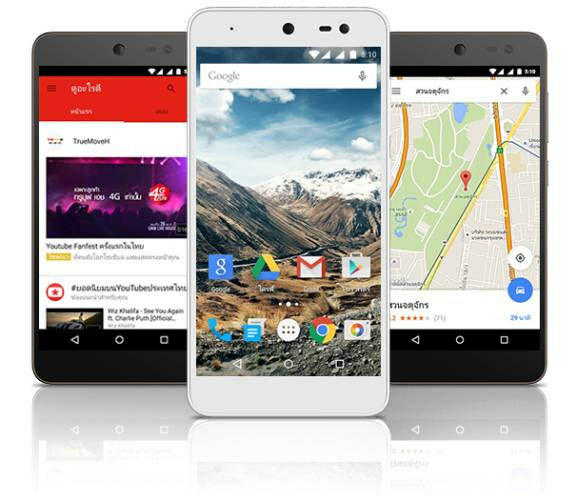 Android One program aims to delivers low cost smartphones for emerging market with the latest Android version and firmware updates for at least 2 years. Google started with India, shortly followed with Indonesia, and now the company has announced the launch of an Android One smartphone for Thailand with its partnership with i-Mobile. Camera – 2.0 MP front-facing camera, 8.0MP rear camera with back-side illuminated sensor (BSI), auto-focus, and flash. Battery – 2,500 mAh LiPo battery. Up to 200 hours standby, 8 hours talk. The phone is currently running Android Lollipop, and since it has been launched in July 2015, it will receive firmware updates with the latest version of Android until June/July 2017. The battery, a micro USB charger, a headset, a user’s manual, a USB cable, and a protective film are included in the smartphone package. The phone is available now for a rather inauspicious 4,444 Baht price tag (~$126) at i-mobile shops, and online. You may find out more information on i-Mobile IQ II product page.